Integrative Oncology is the selective use of scientifically researched and validated Complementary Therapies to support patients who have been diagnosed with cancer. 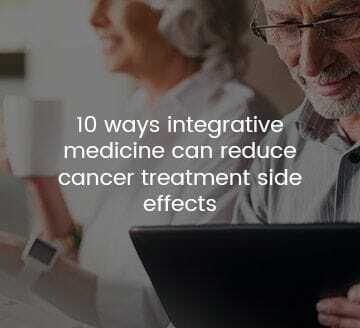 Not all Natural Medicines are backed by scientific research, and at MIOG we only offer those selected therapies that have been shown to be beneficial in Integrative Oncology Care. MIOG is a team of specialist practitioners working collaboratively to facilitate a cohesive and integrated planning process that is unique in oncology healthcare. Our clinic is led by our expert Naturopath Tanya Wells, who has many years experience in this highly specialised field.